I love makeup that is embossed with pretty patterns. It is lovely to own, pretty to look at and nice to use. 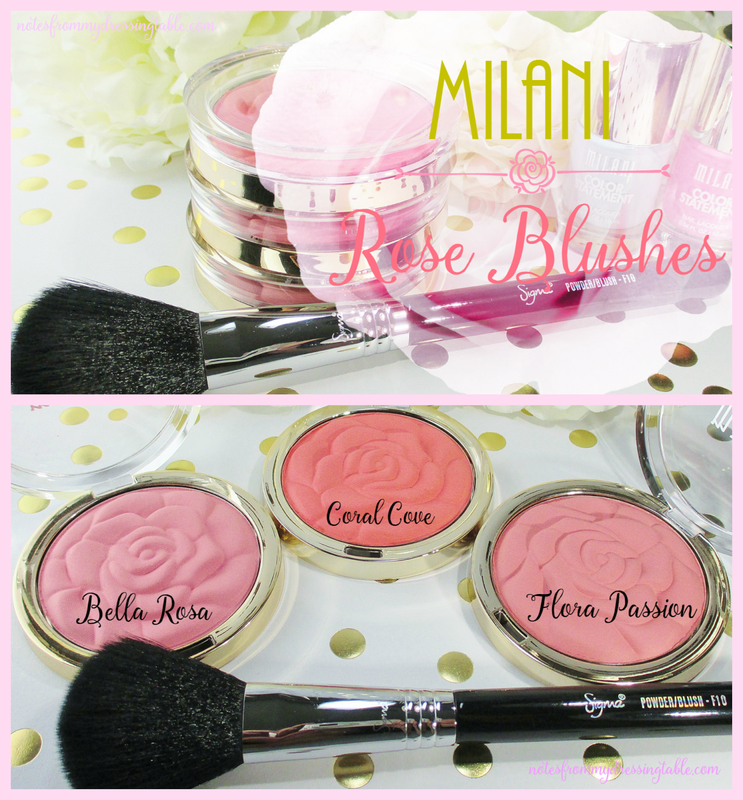 Today I wanted to share with you my little bouquet of beautiful Milani Rose Blushes. 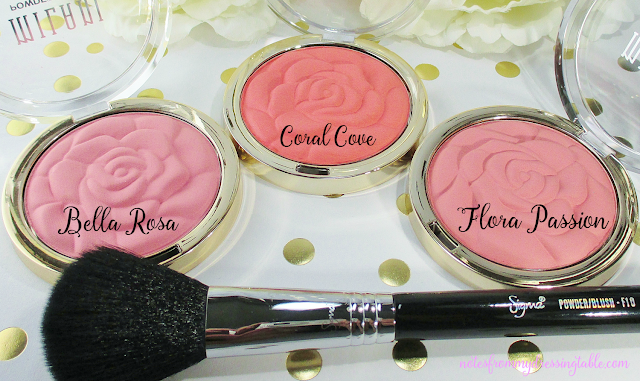 Milani Rose Powder Blushes were first released a few years ago as a limited edition event, there was a mad rush and dog pile to get them, leaving many of us out in the cold. Milani took pity on our cries for more! and made more. 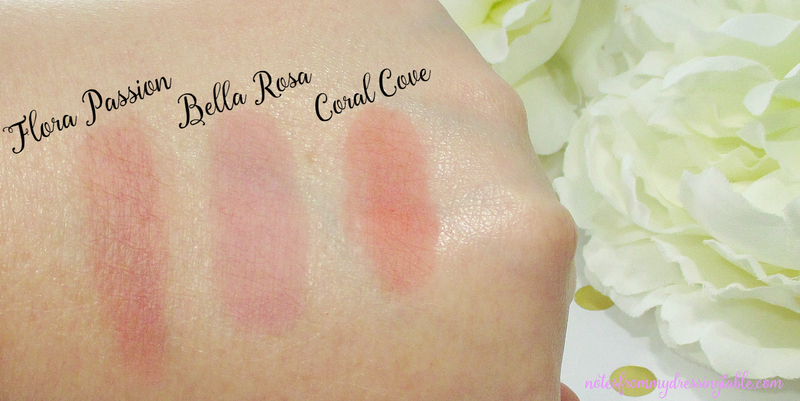 I was finally able to get my hands on two shades, Bella Rosa, a cool rose pink and Flora Passion, a slightly warmer rose. Then this last Spring, Milani released new shades, one of which I have, Coral Cove; a warm orange-y coral. Matte, finely milled, these blushes give the cheeks a translucent flush that looks as if it is coming from beneath the skin. Beautiful alone or sparked with a brush of highlighter. Flora Passion and Bella Rosa are no longer in production, as far as I know but I have seen them in out of the way CVS stores, here and there so if you really want them, you might be able to hunt them down. I need to pick up the other two new shades, Romantic Rose and Tea Rose. Which would give me five... I'll have to find another shade to make six. Odd numbers freak me out. I am wishing that Milani would re release their matte bronzers. I wanted to try them but I never got a chance to get my hands on them. They were here and gone, too fast. 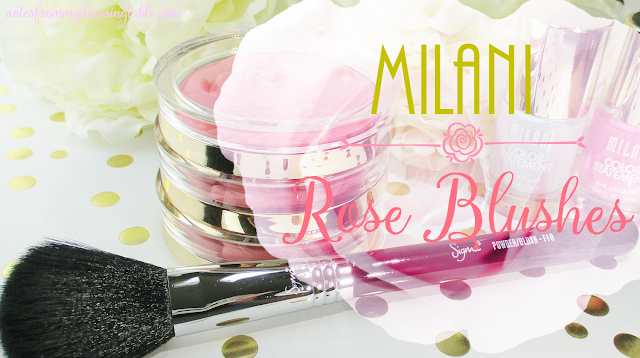 Do you own Milani Rose Blushes? What shades do you have?